I hear a lot of people say they don’t like curry. I always tell them to give it another chance. There are so many “curries” out there – red, green, yellow, Indian, Thai…. the list goes on and on and they all taste different. I haven’t found a curry I didn’t like and was really craving some yellow(ish) curry tonight. I like the following blend of spices for more of a yellow curry. Give it a try as a sauce or a spread. It even makes a great dip for veggies, crackers and chips! Add all ingredients to a high speed blender and mix thoroughly. Serve as a sauce, salad dressing or dip. 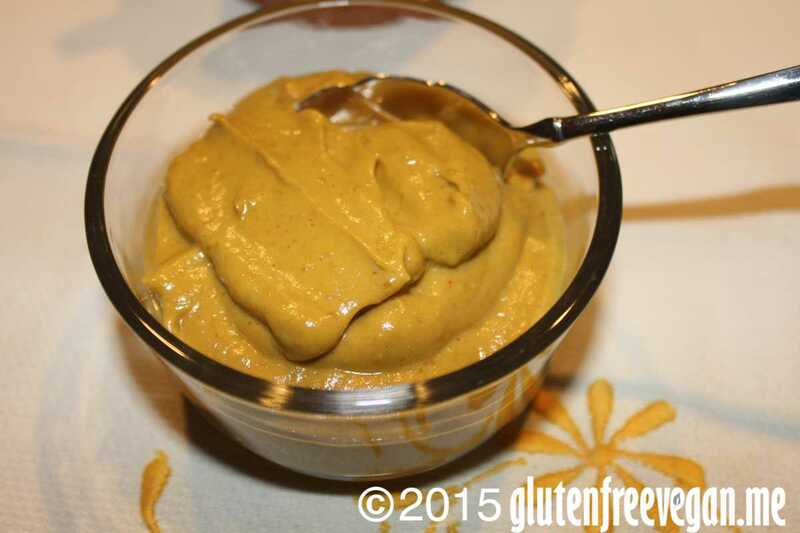 This entry was posted in appetizers and snacks, dips and spreads, sauces and tagged curry, dip, gluten-free, glutenfreevegan.me, glutenfreeveganme.com, healthy, raw vegan, salad dressing, sauce, spread, vegan, vegan cooking, vegan recipes. Bookmark the permalink.